At least, that’s according to sources familiar with Microsoft’s plans. Xbox Music will be available on all of Microsoft’s major consumer products, including Windows Phone, Xbox 360, and the company’s would-be Apple killer, Windows 8. Like the Windows Player app of old, though, Microsoft is aiming to get Xbox Music onto as many platforms as possible, with plans for the service on iOS and Android devices as well. Any adventurous iPhone 5 users gearing up to experiment with an alternative music service hosted by a massive multinational corporation will have to wait a bit though, as the iOS and Android Xbox Music apps won’t be available until an unspecified future date. All Microsoft media apps will be updated to account for the new service. As expected, the service will come in a variety of packages. There will be subscriptions for users looking for unlimited, ad-free access and existing Zune Music Pass subscribers will see their accounts transferred over automatically. There will also be a free version that offers ad-supported music a la Spotify. 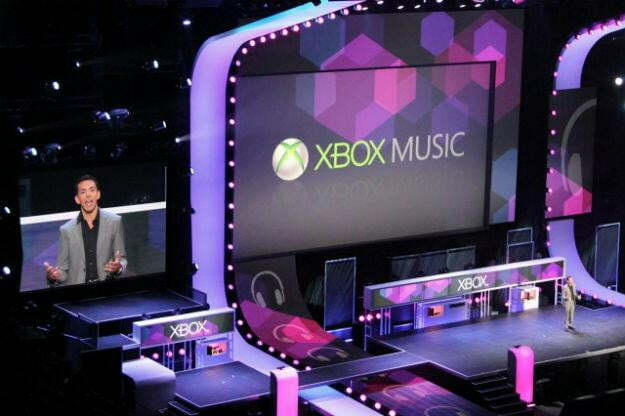 Official pricing for Xbox Music subscriptions is still unknown. Users that received early access to the service claimed that the unlimited subscriptions would run around $15 per month and $145 per year. Like many media apps, Xbox 360 owners will have to have a premium Xbox Live Gold subscription, an additional $60 per year, to even access Xbox Music on the console. Microsoft made the right choice killing the Zune brand. Over its six years in the market, Zune was never able to build any cache with users in the way that iTunes or even Amazon’s music and media services have. After eleven years, the Xbox brand is particularly strong, but if Microsoft can’t rely on it to automatically draw consumers. Xbox Live branded games haven’t made the Windows app market on Nokia Lumia phones a booming business after all. Microsoft also can’t expect the Xbox 360 audience to consider access to an advertising-based music streaming service a draw to spend on Xbox Live Gold. The sooner Microsoft realizes that the old Xbox Live Gold subscription model, giving access to basic services that are free on competing machines, is dead, the sooner it can really build a cross-platform strategy around Windows 8.